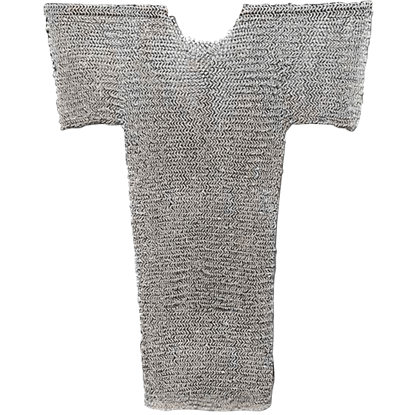 Wedge riveting, with flattened rings, became popular in the 1300s and was used until the demise of chainmail. 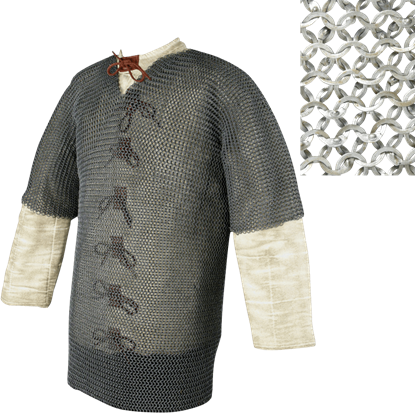 Alternating rows of punched and riveted rings was common until late in the period, when all riveted construction was popular. 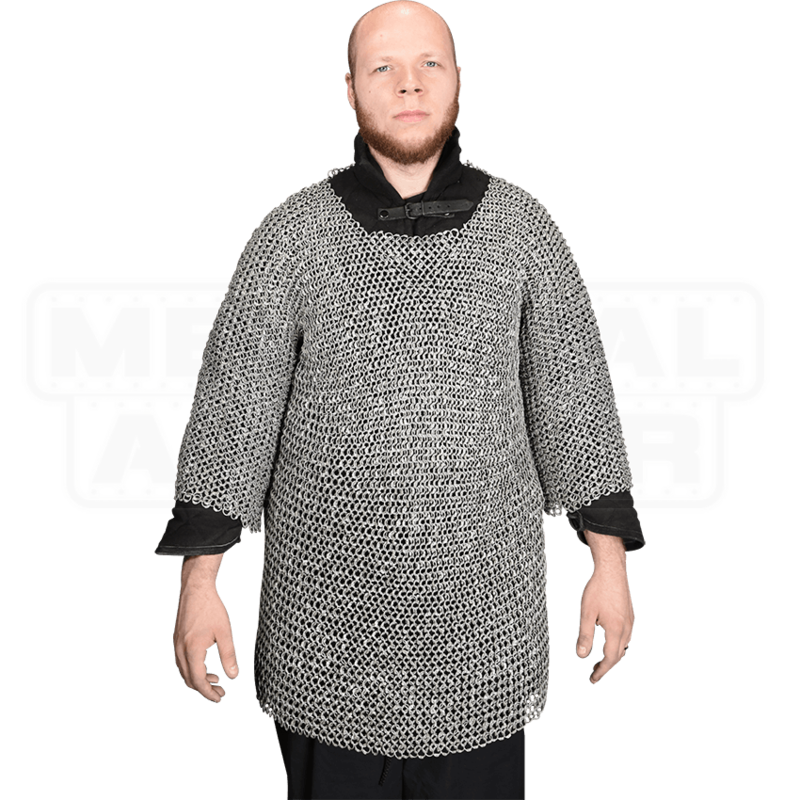 Wedge riveting, with flattened rings, became popular in the 1300s and was used until the demise of chainmail. 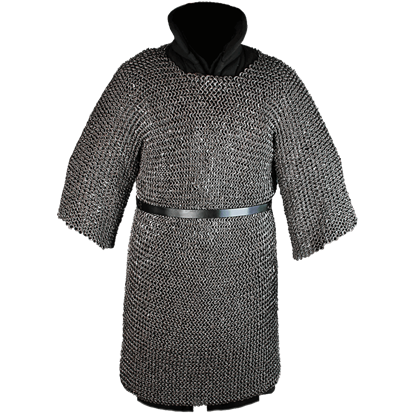 Alternating rows of solid rings and riveted rings predominated until late in the period, when all riveted became popular. 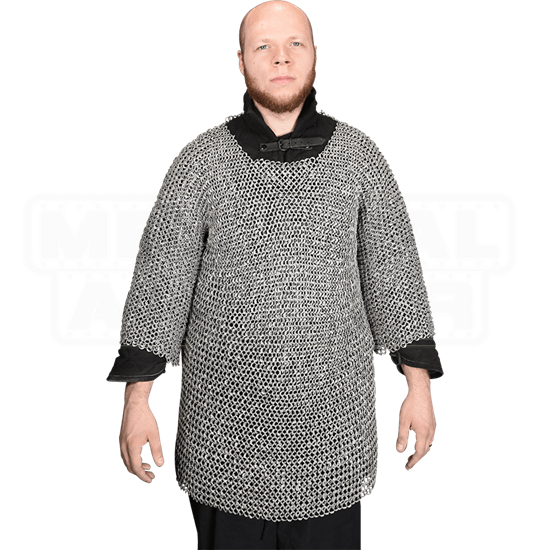 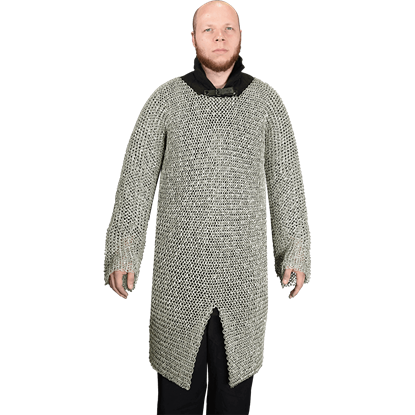 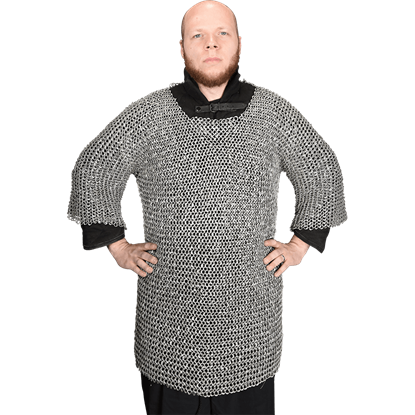 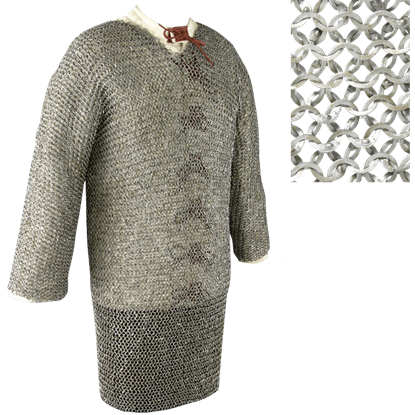 This chainmail hauberk is made of flat rings that have been riveted to prevent separation of links and styled in the European 4 into 1 pattern, just like the museum originals. Now, you can get your own fantastic mail creation.